The Sci Fi Dine-In Theater at Disney's Hollywood Studios serves up this crisp fresh side item. This recipe is perfect for a summer picnic or get together! Score the cucumbers with a fork. Dissolve sugar in hot water. Once completely dissolved add the remaining ingredients and chill to less than 41 degrees. Add the dressing to the salad at least 1 hour before serving. 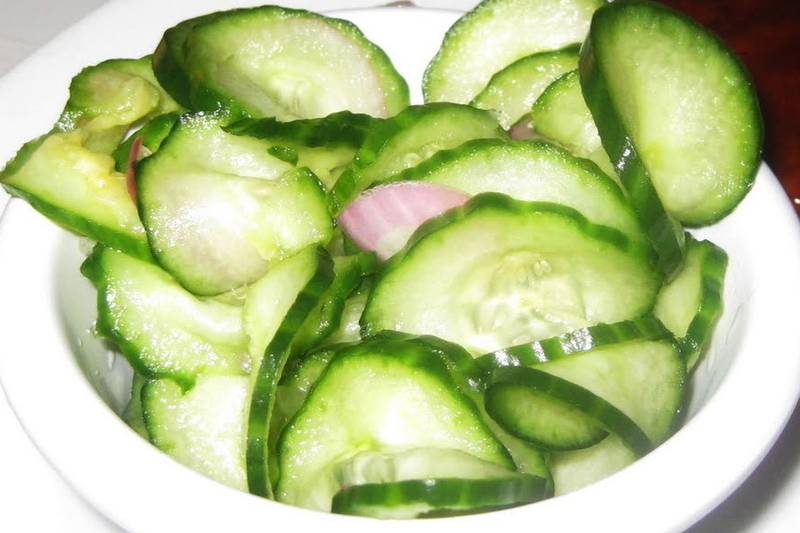 Completely cover cucumbers and onions with liquid. When serving fill 1/2 full with dressing.